An imam and a rabbi in Canada tell us about their efforts to reassure worshippers here in the wake of the New Zealand attack, and how people of different faiths are coming together to find strength in difficult times. As Muslims in the Greater Toronto Area gather for weekly prayers Friday, they will be met by members of the Jewish community keeping watch outside their mosques in "rings of peace." 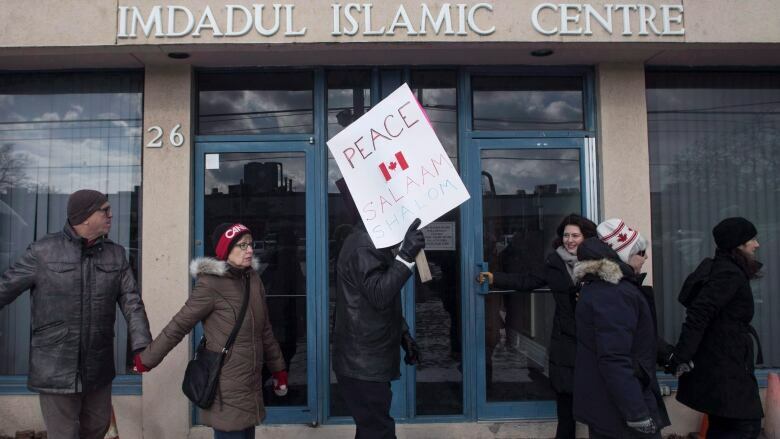 A Toronto-area imam said that kind of support is helping his community process the mass shooting at two New Zealand mosques last week, which left 50 dead. "This person is trying to make us afraid, and trying to terrorize us in certain ways," said Ibrahim Hindy, the imam of Dar Al-Tawheed Islamic Centre in Mississauga, Ont. "Our response to that needs to be that we're going to ... connect with our community and not stay within our own shell, but to reach out," he told The Current's guest host, Megan Williams. In the week that has followed, he said the "most difficult thing" he's had to do was discuss the attack with a class of Muslim students in Grade 3. "I asked them: 'What did you feel after it?' A little kid put up her hand and said, 'I felt unwelcome.'" "That's the reality, you start feeling unwelcome, you start feeling alone." "Hateful voices are ... telling you that everybody hates you, and everybody's against you, and a small part of you might believe that that's true." But "when you see another community show up, and be like, 'No, your tears are our tears, and we're with you,' that's so profoundly, deeply touching." Attacks on places of worship are changing behaviour, but not in the way attackers might want, said Rabbi Debra Landsberg, a participant in the rings of peace organized by the Toronto Board of Rabbis. "I'm going to a mosque [today], and that's not my usual action," she told Williams. During Friday prayers, Landsberg and other members of the Jewish community will be keeping watch outside mosques across the GTA. Landsberg has seen firsthand how much this symbolic act can help. After the October mass shooting at a synagogue in Pittsburgh, a group of 60 Muslims formed lines of condolences outside a commemoration at her synagogue, Temple Emanu-El in North York. A mix of young and old had driven 45 minutes "to be present, to actively show that this evil is not what we accept," she said. 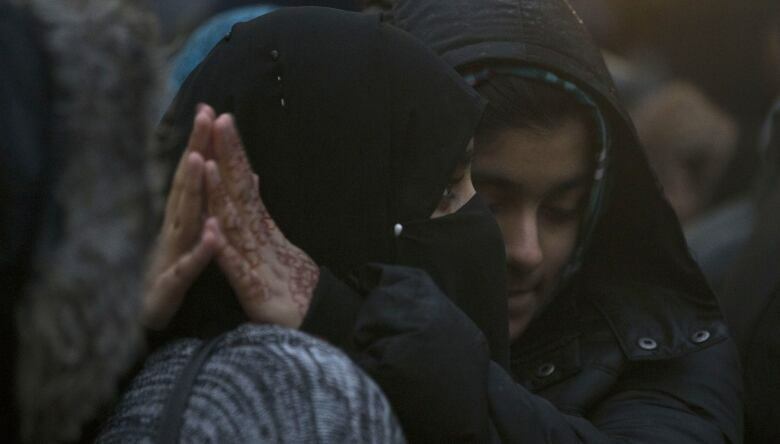 The support from the Muslim community made the shaken and grieving worshippers feel safe, and "able to be in that space … to be defenceless, to be vulnerable immediately after an attack," she said. "I had congregants say that was one of the most profoundly moving experiences that they'd had in our sanctuary," she said. "It was powerful, very, very powerful." These acts of empathy and solidarity have helped Hindy to reassure his congregation, and in particular the Grade 3 students he met this week. Speaking to the children, he was "able to point to that and to say that 'No, you're actually not alone,'" he said. "There are people who care, and there are people out there who would defend you as much as they would defend their own." "I think that was inspiring to those kids, and that's inspiring to me." Written by Padraig Moran. Produced by Imogen Birchard.